The chosen layout is inspired by the microservice paradigm. The Data Management Layer serves as the main contact point for all clients. The backend Services are accessed by the clients through this layer. This decouples the connection between clients and backend storages and enables a very flexible and independent development. New versions of a Storage Service can be published without effecting or interrupting the overall functionality. Also elastic scaling of single services is possible without reconfiguration of connected clients. The Data Management is used by different OPTi Framework components. To address different environments and capabilities of the components, a flexible and adaptable client library was set up. For each storage multiple specialized clients can be used. For example a client integrated into Matlab provides a seamless integration of storage data into the developed algorithms. Another client works as a commandline tool and supports appropriate commandline parameter options instead of API calls. General-purpose programming languages can also be supported by providing a client with interfaces in the specific programming language. Therefore the storage data can be used with a native API. 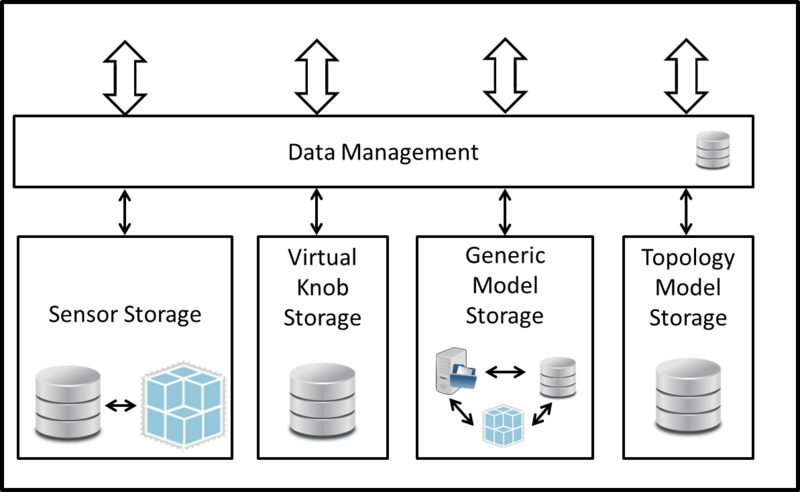 The presented architecture helps to use stored data directly where it is needed within the OPTi framework with minimal effort.